Here's where to watch every episode of Thicker Than Water season 1. Mouseover or tap an episode to see where to stream it. Click or tap the play icon to stream it on the best available service. 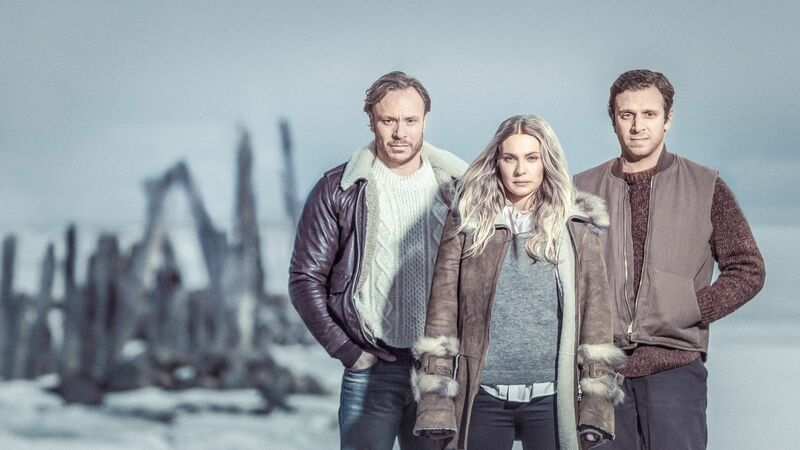 Episode 1 Jan 27, 2014 Siblings Lasse, Jonna and Oskar Waldemar are reunited after many years at the family guesthouse on the Åland archipelago. The reunion is filled with conflict and brings up old memories and secrets. Meanwhile, their mother Anna-Lisa has a hidden agenda that will change the siblings’ lives forever. Episode 2 Feb 3, 2014 Anna-Lisa’s sudden death is a shock to the siblings and her will contains unexpected demands, forcing Lasse, Oskar and Jonna to remain and work at the guesthouse against their will. At the same time something in Stockholm is pulling the noose tighter around Lasse’s neck. Suddenly the siblings face their longest summer ever. Episode 3 Feb 10, 2014 Jonna is gone and feels threatened if she does not return to the guest house. Lasse wants to complete the pool while he is there, but Oskar prohibits it. Under the pool a dark secret is buried. Episode 4 Feb 17, 2014 Lasse will not get any insurance money after the restaurant fire and creditors come to the guest house. Oskar becomes jealous when Liv defends Lasse, but is forced to still help him. Jonna finds sanctuary in amateur theatre and new boyfriend Mikael Rosen. Kim becomes aware of a family feud. Episode 5 Feb 24, 2014 It’s midsummer and the guest house is preparing for the wedding, which creates unexpected difficulties for Oskar. Jonna gets a surprise visit that complicates things further. Lasse and Liv have a conflict related to the past, but when the truth comes out, everything changes and they cross a line. Episode 6 Mar 3, 2014 After Lasse and Liv kiss, Oskar gets paranoid and everything changes. At the same time, he must do everything he can to ensure that the siblings continue to run the guest house together. Divers start searching the wreck, but find something else. Lasse is visited by the police who seem to have found a suspect. Manne is neither impressed by Jonna nor Mikael Rosén, which has fatal consequences. Episode 7 Mar 10, 2014 Oskar is nervous about the results from the DNA tests which have been delayed. Is it Mauritz that the divers found? Lasse has problems clearing himself of arson. Kim’s birthday takes an unexpected turn. Before the theatre premiere Jonna tries to mend her relationship with Mikael Rosén. Episode 8 Mar 17, 2014 The siblings have to persuade neighbour Mildred not to sell the estate to Rosén. Jonna has a dark secret that they can bargain with. She knows what happened to Mildred’s husband. Lasse goes to Helsinki to buy Timo’s silence, but is pulled even deeper into something he has been trying to avoid. Liv wavers between Lasse and Oskar and makes a mistake. Episode 9 Mar 24, 2014 Oskar is terrified. Who is behind the blackmail? He suspects Lasse and the siblings drift increasingly apart. Jonna gets an ultimatum and is forced to choose between her old and new life. Lasse and Liv relive old memories. Meanwhile some youngsters are sailing out to sea when a dense fog draws in. Episode 10 Mar 31, 2014 Oskar knows that Liv is lying and suspects that she was thinking of leaving him. He intends to confront Lasse once and for all, no matter the cost. Liv finally discovers Lasse’s true self and makes a decision. It’s just days away. Can the siblings hold on to get the inheritance?